Speculations have produced several versions of the line-up for the next Politburo Standing Committee (PBSC). There appears to be considerable agreement regarding who the first six members will be, but regarding the 7th member, observers have given competing predictions. One version favours Zhang Gaoli, currently the Party Secretary of Tianjin, a booming port city just 30 minutes away from Beijing by high-speed train. Zhang is believed to be close to former President Jiang Zemin, therefore allegedly a member of the “Shanghai Clique” that Jiang formed during his 13 years of tenure as China’s top leader. The other version, however, believes that Zhang won’t secure the seat, but Mr. Wang Yang will do so instead. The current Party Secretary of Guangdong, Wang is believed to be a protégé of the outgoing President, Hu Jintao. Mr. Wang had an earlier career in the Chinese Communist Youth League, therefore is believed to be a member of the tuanpai (Youth League Faction) that Hu leads. There was a rivalry between Mr. Wang and the now fallen Party Secretary of Chongqing, Bo Xilai. The two men championed very different policy lines, with Mr. Wang representing a reformist tendency and the latter a return to the Maoist lines. Bo of course received his political death penalty, as soon as his former deputy Wang Lijun fled into the US Consulate in Chengdu back in February. Since then there was debate whether Bo’s fall means that Mr. Wang of Guangdong has the PBSC seat under his belt. The multiple versions of rumours, however, seem to put this in doubt. Whether Mr. Zhang of Tianjin or Mr. Wang will eventually get the 7th seat, appears to be the biggest uncertainty at the moment. To be sure, Zhang has long been a favourite. Keeping a low profile while producing a decent record of governance in Tianjin (Tianjin’s GDP growth rate was among top three of China’s provincial units in the last two years), with support from Jiang and the “Shanghai Clique”, he certainly enjoys a very high chance. But as Steve Tsang pointed out, if Wang Yang is left out of the PSBC, then it appears Hu Jintao’s faction has lost out big time: the new 7-member body will only have two who are considered Hu’s men (Li Keqiang and Li Yuanchao). How could the incumbent leader accept such a deal which put his faction in a big disadvantage? There is another rather powerful factor that should dictate the case in favour of Mr. Wang. And that is the incumbent No. 3 in the top leadership, the current Premier Wen Jiaobao. Among the top leaders, Wen does not seem to belong to any single faction. That is a rather precarious situation to be in. Of course, Wen and Hu have been political allies, but Wen will need to have someone in the new leadership to protect his legacy once he is out of office. For the last two years or so, Wen has been grooming Mr. Wang. 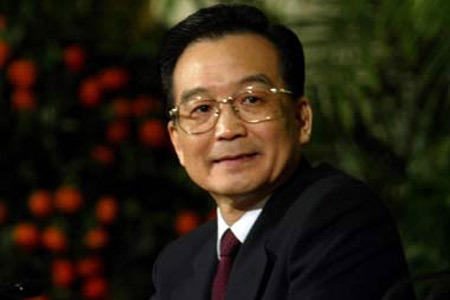 There in fact is a strong connection between the two of them: Mr. Wang was the Deputy Secretary General of the State Council during the first three years of Wen’s Premiership (2003-2005). But people did not notice the close tie between them until in the last few years, when Wen travelled to Guangdong many times to support Wang Yang’s programmes. The retiring Wen must make sure at least one person in the new top leadership is his man. And it looks like Mr. Wang will be that person. Zhengxu Wang is a Senior Research Fellow in the China Policy Institute. I think this is a thoughtful piece. Thank you. Whether Wang makes it to the Politburo Standing Committee should tell us a fair bit about the balance of power among the major power blocs and potentially the capacity of the new leadership to work together to deal with the many serious challenges ahead in the coming decade. Wen does not seem to belong to any single faction. That is a rather precarious situation to be in. it appears Hu Jintao’s faction has lost out big time: the new 7-member body will only have two who are considered Hu’s men (Li Keqiang and Li Yuanchao). How could the incumbent leader accept such a deal which put his faction in a big disadvantage? or the factions are just a myth and selection process is more complicated than, or at least different to, what is widely believed? I think factions do exist, but they are fluid, and overlapping, so people can have multiple factional linkages. Some factions are more solid (and often amount to a small group), others are broader and much less coherent and solid.